A 'Trash Pack' Cake was the request for Ethan's 8th Birthday. 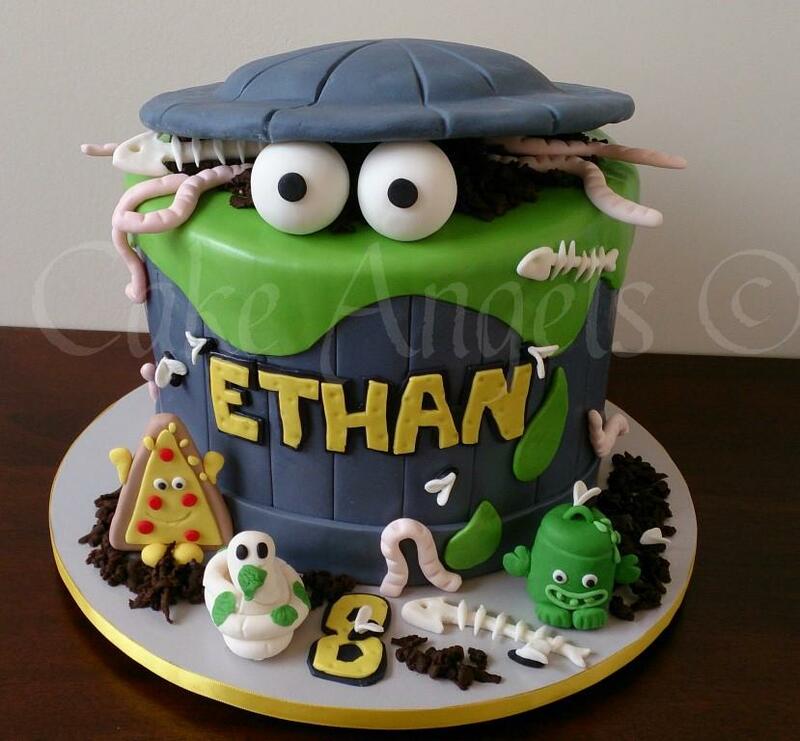 An interesting theme where all the elements are not what you would usually make for a Cake - worms, tapeworms, dirt, gunge, stinky food, fish bones, etc. Lots of fun for the Cake Angels to make and no doubt lots of fun for a group of hungry boys to demolish at Ethan's Party.